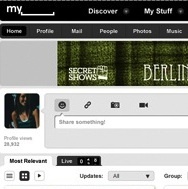 MySpace is preparing to roll out its long-awaited redesign, perhaps as early as tomorrow, at least for new users. It’s not going to be pretty. Well, actually, it is quite pretty—I’ve seen screenshots—but that still might not be enough to help stem the diminishing appeal of the social network. 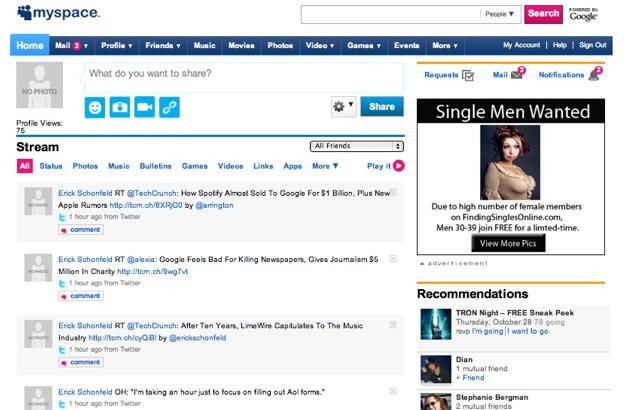 MySpace tried to brief us on the new design under embargo, which we don’t do, so we declined the briefing. Nevertheless, we keep getting snippets of information from various sources. So let me describe it for you. The design will feature the new MySpace logo at the top, and center around discovering and sharing media—music, photos, and videos. When you log in, a big status bar will prompt you to “Share something!” That can be a status message, a link, a photo, or a video. 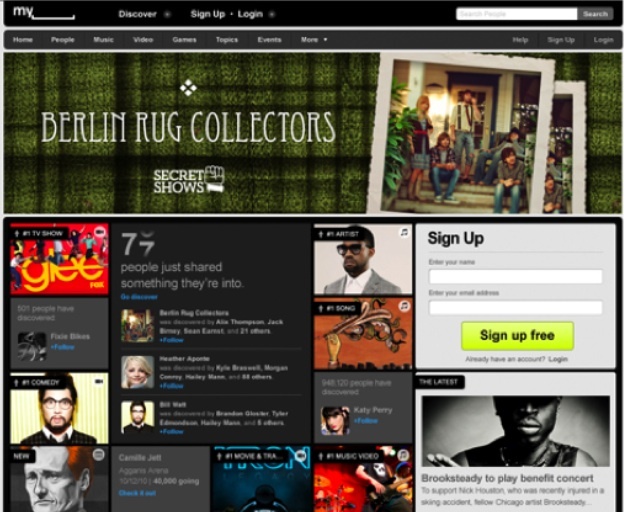 As with MySpace now, there is an emphasis on sharing music, videos, and games. By sharing this media, you become a social filter and a tastemaker for your friends. People with a lot of friends can become social promoters of music and other media, and the new design seems to be set up to highlight and reward those people. 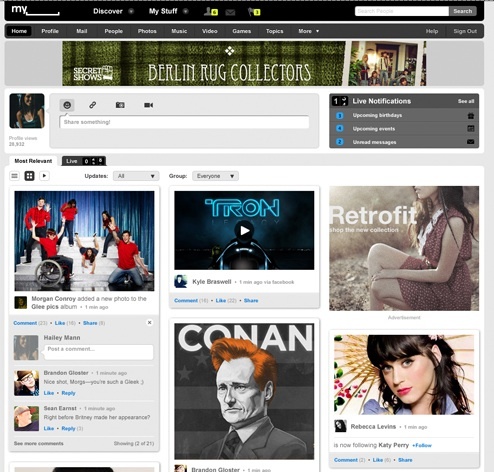 The new MySpace is a lot cleaner and more organized than it is now. Instead of a linear activity stream, the new design is broken up more into tiles, or at least that is one view. A stream of what your friends are sharing is one of the tiles, but there are also tiles for videos, celebrities and musicians you are following, and photo-heavy advertisements. The tiles remind me of the look now popular in iPad apps like Pulse and Flipboard. There is definitely a realtime theme going on as well. You can toggle between what is “most relevant” to you and “live” updates. Another live notifications box at the top shows upcoming events and messages. If you are not logged in, the new homepage will show a rolling counter of things people are sharing, as well as tiles for promoted albums, TV show, celebrities, and trending items people are discovering. Overall, this is appears to be improvement to the current design. But will it be enough to bring people back to MySpace or bring new people in? If all your friends are on Facebook, they are not going to be sharing their music with you on MySpace. By focusing on media sharing and curation, maybe it can find it’s place again in the social network pecking order.